Taiwanese handset maker ASUS is known for its premium gaming computer lineup called the Republic of Gamers aka ROG. The brand added a smartphone to this lineup called the ROG Phone (first impressions), which was unveiled at Computex 2018. 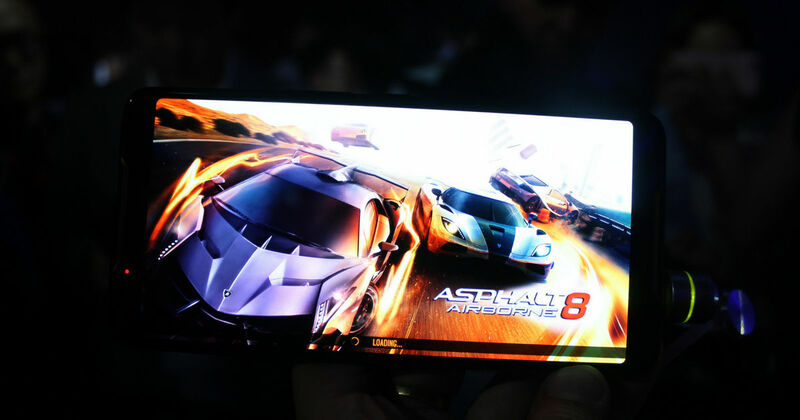 The ASUS ROG Phone is the first gaming smartphone to be launched commercially in India since the nubia Red Magic (review) is yet to be announced. Today, the ASUS ROG Phone will be launched in India, ending months of wait for fans. Being the flagship smartphone for the ROG lineup from ASUS, the handset has a lot of hype built around it. The ASUS ROG Phone India launch live stream will be hosted on the official YouTube channel of the brand for its fans to join in on the action. The event will kickoff at 12pm today and can be watched through the video embedded below. To recap, the ASUS ROG Phone comes with a 6-inch full-HD+ display with 90Hz refresh rate and 1ms response time for blur-free visuals. Driving the performance is the octa-core Qualcomm Snapdragon 845 processor, with Adreno 630 GPU and 8GB of RAM. ASUS offers the handset in two configurations – 128GB and 512GB. In the imaging department, the ROG Phone has been equipped with a 12-megapixel + 8-megapixel setup on the back and 8-megapixel snapper for selfies. The handset boots Android Oreo and is powered by a 4,000mAh battery. ASUS claims that the bundled ROG Phone power adapter supports ASUS HyperCharge, which is a direct-charge technology that delivers more power (up to 20W) for shorter and safer charge times. ASUS had also launched TwinDock and Mobile Desktop Dock accessories for the ROG Phone. The former can turn the handset into twin display console and comes with four quad front-facing speakers, two physical trigger keys, a dual-haptic force-feedback engine, an enhanced cooling system as well as a 6,000mAh extended battery pack. The Mobile Desktop Dock, on the other hand, lets users connect the ROG Phone to an external 4K UHD monitor, mouse and keyboard. However, it’s unclear whether ASUS will launch these accessories in India.